Facebook turns on Safety Check in Orlando - first in U.S.
Facebook has previously employed its Safety Check feature after emergencies in France, Belgium, Pakistan, Nigeria, India and other countries. 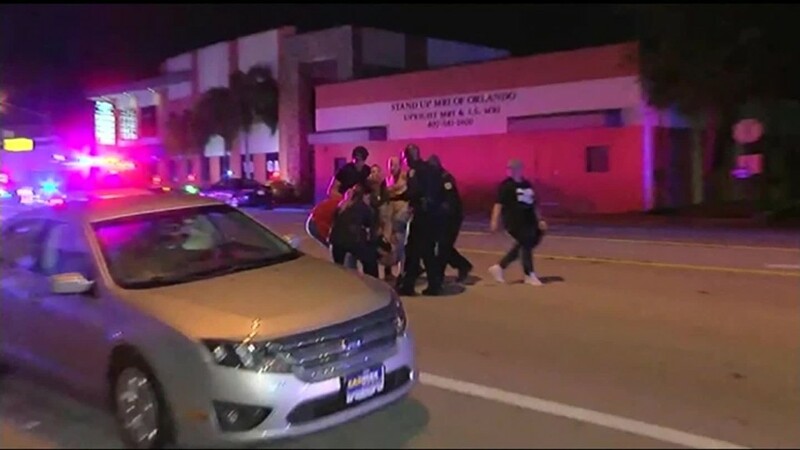 Sunday's attack in Orlando, Florida, triggered its first activation in the United States. The tool lets Facebook users in Orlando confirm that they're safe, unsafe or outside the affected area with the click of a button. "We hope the people in the area find the tool a helpful way to let their friends and family know they are okay," Facebook said in a statement. Safety Check received a lot of attention when it was turned on after a series of terrorist attacks in Paris, France last November. The company has been scrutinized over when it chooses to turn on the tool and when it chooses not to. Earlier this month, Facebook started testing a version of the Safety Check that allowed others to activate and share safety messages. And that's how it started in Orlando on Sunday: "Following the community-generated Safety Check activation this morning in Orlando, we have now activated Facebook-initiated Safety Check," Facebook's statement said. A spokeswoman confirmed that this is the first "Facebook-initiated Safety Check in the U.S."
Seeing the tool applied so close to home rattled some U.S. users of Facebook. "I never thought I would have to mark myself "safe" on Facebook. Surreal morning," Orlando Magic Daily editor Philip Rossman-Reich tweeted. "Phone starting to blow up [with] Facebook marked safe alerts & grateful for each & every one," leadership and development coach Julie Couret wrote. Facebook and Twitter were also used by people at the scene of the attack at Pulse, a popular gay nightclub in Orlando. Clubgoers traded messages as they searched for loved ones in the chaotic aftermath of the shootings. Brandon Wolf, one local resident, tweeted right after the initial shooting, "Shooting at pulse. We hid in the bathroom. And we can't find our friends." Four hours later, he said, "I still can't believe I got out. And we have not located Drew." By the mid afternoon, he had still not accounted for his friend, according to his tweets.